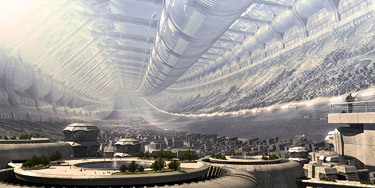 The following images were accepted by the NSS Space Settlement Calendar Committee as entries in the 2008 NSS Space Settlement Calendar Art Contest. Click on a thumbnail image for a larger image and descriptive text. See also the 2009 Calendar Contest Gallery.